Responsible management of chemistry used in the production of apparel, footwear and accessories has been the subject of increasing interest from consumers, NGOs, governments and businesses around the world. This, however, isn’t something new at VF. For many years we’ve focused on evaluating and re-evaluating the substances used, and the way we use them, throughout our global supply chain and in all of our products. We take a holistic approach to managing chemistry responsibly at VF, focusing on three key areas: (1) preventing substances of concern from ever entering our manufacturing process; (2) ensuring the substances that are used are proven to be safe for workers, consumers and the environment; and, (3) consistently researching and identifying alternative best-in-class chemistries. There are specific compounds such as perfluorinated compounds (PFCs) that provide water-repellent and stain-release attributes, and have been cited as potentially harmful to people and the environment, that we’re working to replace with equally effective substitutes. But we also believe in the importance of actively managing the full portfolio of chemicals used, and central to this approach is our sharp focus on continuous improvement based on new technologies, innovative processes and chemical substitutes. The cornerstone of our efforts is VF’s Restricted Substances List (RSL), which helps to ensure that our production factories, as well as all suppliers, vendors, business partners and licensees, understand our specific expectations around chemistry use that fully complies with strict standards. In 2014, we introduced our innovative chemical management program, CHEM-IQSM, developed in collaboration with an advisory group including experts from the Natural Resources Defense Council (NRDC), the University of Massachusetts – Lowell, the University of Leeds and Modern Testing Services. CHEM-IQSM provides a unique, proactive approach to chemistry management in the supply chain – one that we believe is more effective and pragmatic than traditional chemical selection practices. Here’s why: Existing programs test products for their chemical composition after they are made; in contrast, CHEM-IQSM tests and helps to eliminate certain formulations that may contain traces of unwanted substances from entering the supply chain in the first place. Moreover, CHEM-IQSM allows VF to continuously identify opportunities to drive better chemistry throughout our global supply chain. Initial results of CHEM-IQSM have been very positive. In 2014, the first year of in-market use in more than 100 factories around the world, VF used CHEM-IQSM to screen approximately 2,000 chemical formulations, phase out 245 formulations and prevent 260 tons of unwanted substances from entering our manufacturing process. VF’s suppliers and others have praised the program’s effectiveness and ease of use, and we continue to scale it across our entire supply chain globally – in owned and contract factories. What’s more, we are currently working with several other global brands and organizations – at their request – to run pilots of CHEM-IQSM in their own supply chains. We are proud to share this innovative program with others to scale the positive impact it can have across the global apparel and footwear industries. VF’s brands are using CHEM-IQSM in addition to leveraging partnerships with third-parties such as bluesign and Oeko-Tex to achieve their own specific chemistry management goals. For example, The North Face® brand has successfully shifted away from using PFCs in much of its apparel and continues to make progress using a phased approach. The brand has set a goal to remove PFCs from all apparel materials by 2020. Measurable progress has been made, however, we remain grounded in the reality that the job of actively managing chemicals in our supply chain is never done. We are always working diligently to identify the safest alternatives that will serve as the new building blocks for our innovative products. We look forward to keeping you informed along our journey. Sean Cady is VF’s Vice President of Global Responsible Sourcing. 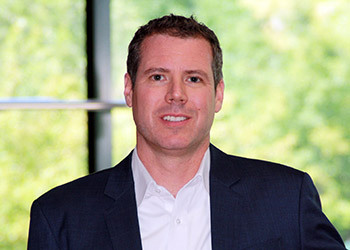 He leads product stewardship initiatives for all VF products, accelerates factory social and environmental leadership and creates sustainability improvements across VF’s global supply chain in four key areas: water, energy, chemicals and cotton. He oversees teams that partner with each VF supplier to drive continuous improvement and leadership on life safety, social and environmental performance. Cady holds an M.B.A. in International Business and a B.S. in Chemical Engineering. He is a licensed Professional Engineer in the State of California.